Matt Stafford takes a snap out of the shotgun and launches the ball 50 yards in the air, and Anquan Boldin comes down with it in the end zone. “Well, that’s overwhelming,” Michaels declares. Michaels was using coded language — though not particularly deeply coded — to convey that anyone who bet the “under” for the score total just took a bad beat on an otherwise meaningless play. It was a different time, a time when mainstream sports broadcasters had to tiptoe around gambling references. It was way back on … January 1, 2017. That’s where sports betting appears to be right now. 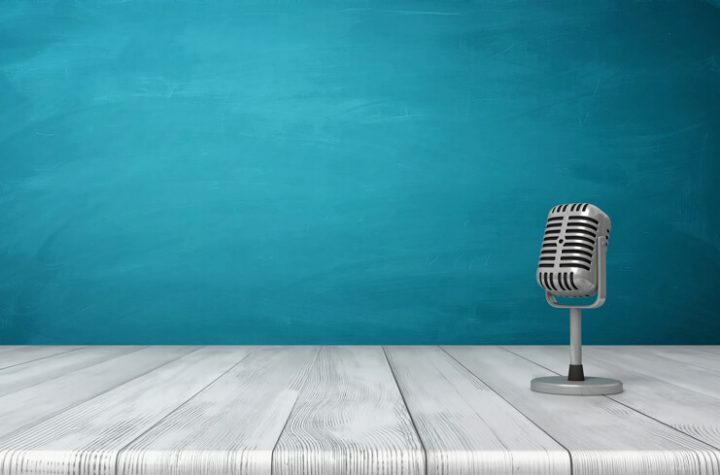 Since the Supreme Court overturned PASPA on May 14 and opened the door for individual states other than just Nevada to offer legal, regulated sports wagering, mainstream sportscasters like Michaels have been able to stop using smoky-backroom language. Spreads, covers, overs, unders, and parlays are increasingly welcome in America’s living rooms. “There was always that hurdle,” says Jimmy Vaccaro, the veteran Las Vegas bookmaker who sets the lines at South Point. “Even when I’d speak to someone on the air a few years ago, they would tell me up front, ‘You know, listen, you can talk about it, Jimmy, but no point spreads.’ That has slowly eroded. A week ago, The Sporting News reported that Fox Sports has a TV show built around sports gambling in the works, expected to premiere in the fall in the 5-6 p.m. hour. The show, according to unnamed sources, was said to star Charissa Thompson, Brent Musberger, Todd Furhman, and Clay Travis. Whether there is or isn’t a gambling-focused show coming to Fox Sports (Fox has declined comment thus far) and whether Musberger will or will not be a part of it, the fact that such a mainstream outlet is talking about such a program is the sort of thing that was borderline inconceivable a few months ago. There are gambling shows to be found in 2018, but not on traditional TV outlets. On the internet, you can find The Line on Sports Illustrated’s video arm, The Action Network’s I’ll Take That Bet on ESPN+ (ESPN’s new subscription-based digital service), and podcasts like “Cousin” Sal Iacono’s Against All Odds. So gambling content is spreading now that sports betting is increasingly viewed, both legally and by network suits, as an above-board activity. But a full-on “let’s talk gambling” show on TV is at least a few baby steps away. For now, the networks continue to just dip their toes in with brief gambling segments, like “Bad Beats” when Scott Van Pelt hosts SportsCenter. Traina asked Van Pelt if we’ll soon see shows devoted to gambling, like the rumored one in the works at Fox Sports, coming to TV. On June 21, Todd Fuhrman, the co-host of The Line and one of those names floated for the Fox show, appeared on Traina’s podcast and echoed Van Pelt’s expectations. Sports betting isn’t the taboo topic it once was, especially now that the Supreme Court has signed off on it. The mainstream media hasn’t fully embraced it yet, but networks are at least putting feelers out. With NFL season fast approaching, it’s probably only a matter of months before the variety of options for hearing sports gambling discussed on TV is, to use Al Michaels’ favorite word, overwhelming.